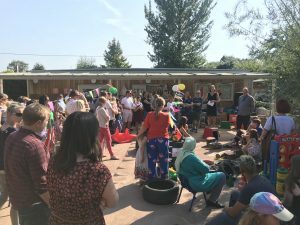 Just before the new year started, lots of people joined us to celebrate Tiddlywinks Preschool being open for ten years! It was a brilliant party! 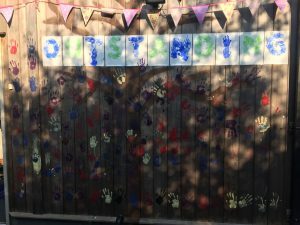 All the visitors painted their hands to make a handprint tree on the front wall of our building – a great way to welcome all our visitors. 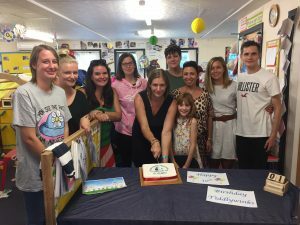 Congratulations to everybody that has been involved in this fantastic preschool, especially Helen, the Manager, who has been there right from the start. Here’s to the next ten years! Previous Previous post: Tiddlywinks 10 Year Anniversary!